With all the technological advances in the world, it’s mind-blowing that so many sizable and impressive companies are bogged down by some of the most pervasive and common problems in their accounts payable department. Problems ranging from inefficient invoice processing, having to collate invoices from different suppliers, errors caused by manual entry and lack of control and visibility, it’s no surprise that the number of organizations moving to automated invoice processing is increasing. Automating is the opportunity to create a streamlined and efficient process, embedding defined business rules. Columbus Invoice Workflow helps companies move past the process bottlenecks that many businesses experience in this area. 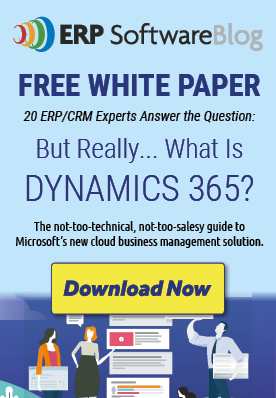 The solution has been widely adopted by customers in many industries and is certified for Microsoft Dynamics. While improving the consistency and reliability of invoice processing. With a configurable, versatile workflow and a wide choice of options for intake, validation, approval and tracking. By eliminating paper invoices and needless data entry. To take advantage of early payment discounts and elevate your relationships with vendors and suppliers. Of invoices, approvals, and related communications with the approval time statistics, invoice histories, filtering and reporting options, and clear visibility of emails and documents. By structuring sequential, parallel, individual and group approvals with automatic notification and delegation to substitutes, and enable remote and mobile stakeholders to access approval capabilities through web services. By automatically approving and posting of recurring and other invoices that fall within pre-set parameters, removing needless busy work from your Finance Managers task load. Columbus invoice workflow lets finance managers perform automatic approvals and postings of recurring and other invoices that fall within appropriate parameters, removing needless work from day to day task loads. Through the solutions completely configurable workflow, the right invoice approval team or their delegates receive automatic notifications and reminders at the right time. And if they are mobile, or work outside of your ERP system, they can conveniently access approval functions through web services. The solution is ready and effective after a smooth implementation and configuration to fit the business. It integrates fully with Microsoft Dynamics AX, making invoice information available throughout finance processes. Starting with data capture, the early step in invoice processing where so many companies experience inefficiencies, you will be able to eliminate paper forms, take invoices from many different data formats, and handle them quickly and accurately in line with their policies. You will have full visibility of approval actions, invoice histories, and related communications.